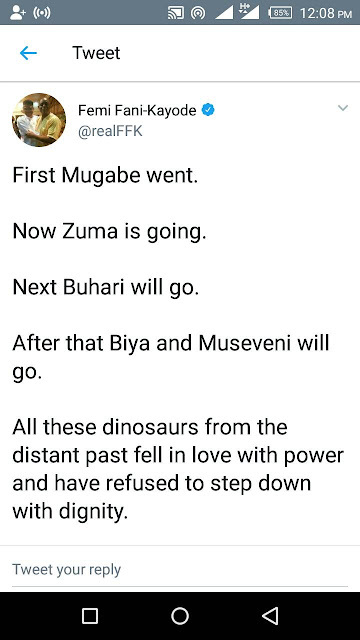 The resignation of South African President, Jacob Zuma yesterday and the subsequent installment of Cyril Ramaphosa as the president was something some writter has described as epic and poetic. This is making the third time a seating president has been shown the door in African recently. 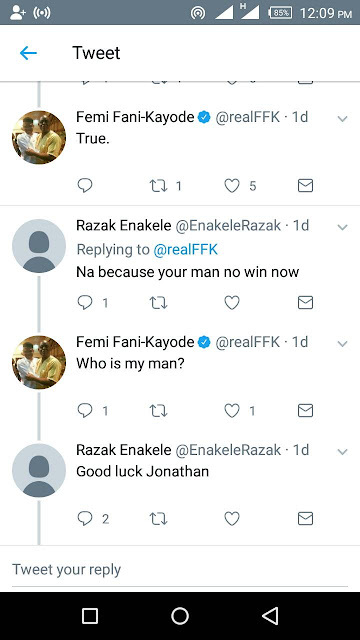 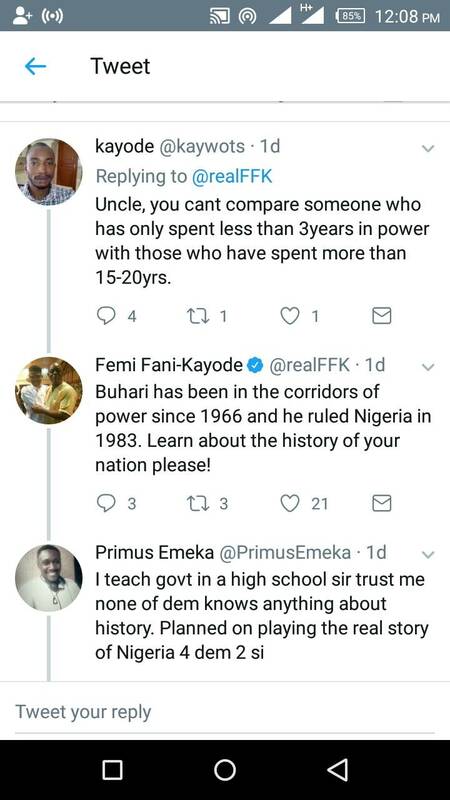 On this note, the former minister of Aviation and ardent critic of Buhari led government, Chief Femi Fani-Kayode (SAN) has said President Muhammadu Buhari is the next in line to resign from office. 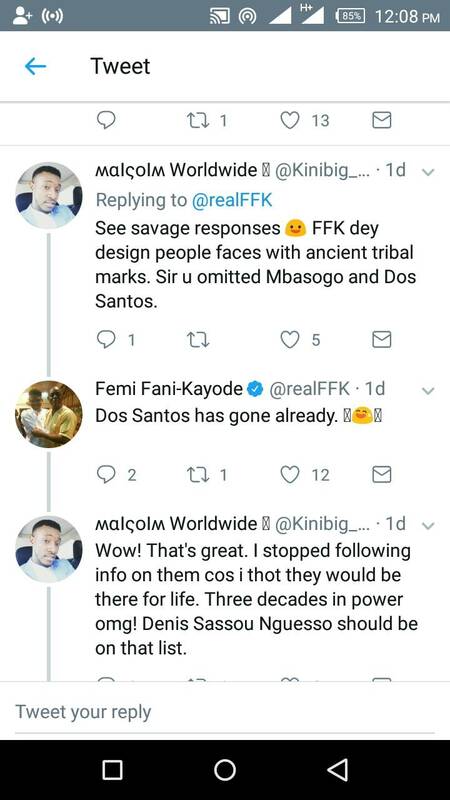 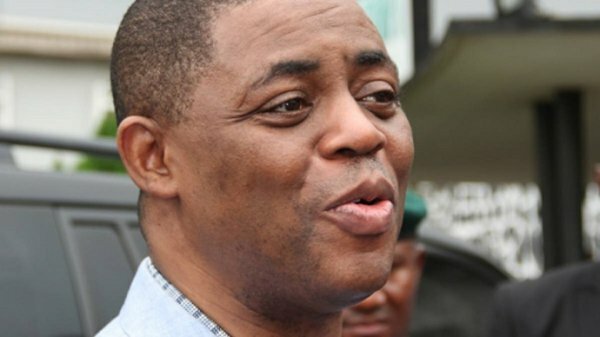 Fani-Kayode in his tweets on Wednesday night said it was time for African leaders who were so engrossed with power to step down.